Get ready to experience one of the most underrated parts of Salt Lake City. While the Glendale neighborhood definitely has some important downsides to consider, it also offers incredible diversity, great parks, and top-notch access to the nearby airport and the downtown area. You’re also in for some quirky spots that give Glendale a personality all its own. Residents looking to buy a home in Glendale will be pleased to know that real estate in this area is fantastically affordable. As of May 2016, the median home price in Glendale was $152,600, but prices all over Salt Lake are on the rise. It’s among the three most affordable neighborhoods in Salt Lake City, so if you’re looking to buy, you’re in great shape. Renters will find similarly reasonable options (Zillow estimates the median rental price to be just under $1,200). Depending on your needs, home size may present some challenges. Houses here tend to be low in square footage and only have 2-3 bedrooms (part of why they’re so inexpensive), so do your homework and enlist the help of a realtor, if needed. When it comes to commuting from Glendale, car is king. The neighborhood’s location makes it easy to access all of the local freeways and a few major streets as well, taking you pretty much anywhere you want to go. As long as you have a reliable vehicle, living in Glendale puts you in a great position to get into downtown or to the Salt Lake City International Airport quickly. Some intersections can be held up by Union Pacific trains, but the rail lines affected are in the industrial part of town, so this shouldn’t cause a problem for going downtown or running typical errands. There are good bike paths and pedestrian routes in some parts of Glendale, but in other areas, the number of semi trucks going to and from outlying warehouses makes biking or walking a dangerous proposition. Practically speaking, commuting by bike or by foot is almost non-existent among Glendale’s residents. Public transit fans may also be out of luck, as the city’s bus and rail lines don’t serve Glendale very effectively. For something a little more nostalgic, try local favorite Hook and Ladder Company, a retro burger joint with a few booths and a walk-up window for ordering. A number of Salt Lake City dining institutions have locations in Glendale as well, including Granato’s Deli, The Soup Kitchen, and Dee’s. The latter isn’t known for its stunning dishes or experimental recipes, but if you’re looking for traditional diner fare, you can’t get more Salt Lake City than breakfast at Dee’s. Along with other nearby neighborhoods, Glendale is known for high crime rates. The Salt Lake Valley is essentially split in half by Interstate 15, and within Salt Lake City limits, the east side of I-15 has a reputation for safety and economic prosperity, while the west side is usually thought of as a little rougher. The Glendale neighborhood falls victim to this West Side stereotype—and for good reason. According to FBI statistics, Glendale ranks in the worst third of Salt Lake City neighborhoods in terms of total crime. The story is even worse when it comes to crime per person: in those rankings, only one local neighborhood (People’s Freeway) has a higher crime rate. If a safe neighborhood in Salt Lake City is what you’re after, there are definitely better options than Glendale, but those other places come with tradeoffs of their own, including an increased cost of living. Along with concerns about crime, quality of education often deters people from moving here. As of 2011, the Glendale neighborhood had more residents under the age of 18 than any other neighborhood in the city, and there are a number of local schools for young kids to attend (four elementary schools and a middle school). High-school-age kids in Glendale attend either East High School or Highland High School. Unfortunately, schools in this part of the city don’t impress when it comes to students’ test scores, so if you have kids who will be attending a school in Glendale, that could be a red flag. However, school choice does exist in Salt Lake City; families can apply to enroll their kids in a particular school even if they don’t live in the designated boundaries. While Glendale’s nightlife leaves a lot to be desired, the neighborhood offers a sweet selection of daytime attractions. 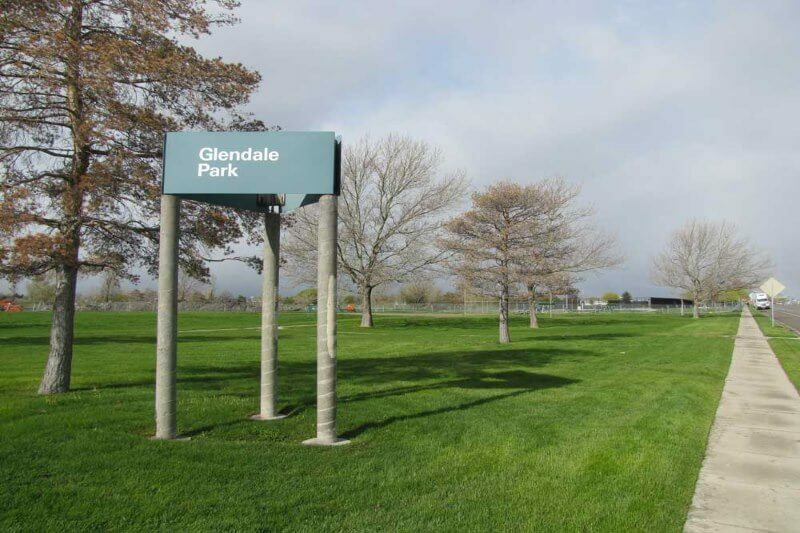 Picnic lovers and frisbee enthusiasts have plenty of nearby public parks to enjoy, most of them adjacent to the picturesque Jordan River Parkway. Foremost among them is Jordan Park, the largest park in West Salt Lake. This is where you’ll find the serene International Peace Gardens and, from June to October, the weekly People’s Market, which features fresh produce, artisan booths, and special events. Long term, plans to revitalize Glendale are underway, and those who join this community in the next few years may see huge changes that will improve the neighborhood’s reputation and livability. Even without those changes, Glendale offers a convenient location, cultural diversity, unique restaurants, and enough recreational activities to keep everyone busy. While issues with crime and area schools are nothing to sneeze at, the appeal of affordable housing and Glendale’s other benefits make it a promising place to call home.